Sometimes a trend comes along that you're not really sure fits into every day life, or simply doesn't suit you. Anyone remember the awful "skirt over trousers" trend back in the early noughties? Thank God that didn't hang around! When printed trousers first appeared, I really enjoyed flicking through catalogues looking at beautiful young models wearing prints in wacky clashing colours and I kind of envied them. Being quite a shy person, still getting used to my new body shape and now over the age of 30 I didn't feel like this was necessarily a trend that I could embrace yet I secretly wanted to be in the gang. So for a while I was walking around my favourite clothes shops looking for the perfect trouser that would enable me to dip my toe into the world of patterned trousers without throwing myself in head first. I was hunting for a quite a while and then one day the new H&M catalogue landed on my doorstep and these beauties caught my eye. They are comfy and practical, yet still allow to me feel a little brave with their lovely shade of purple and subtle pattern. The perfect trouser to test out a trend without going overboard. Of course since buying them I have gone to the extreme and bought myself a far wackier pair, as seen in my earlier Metro Haul post. 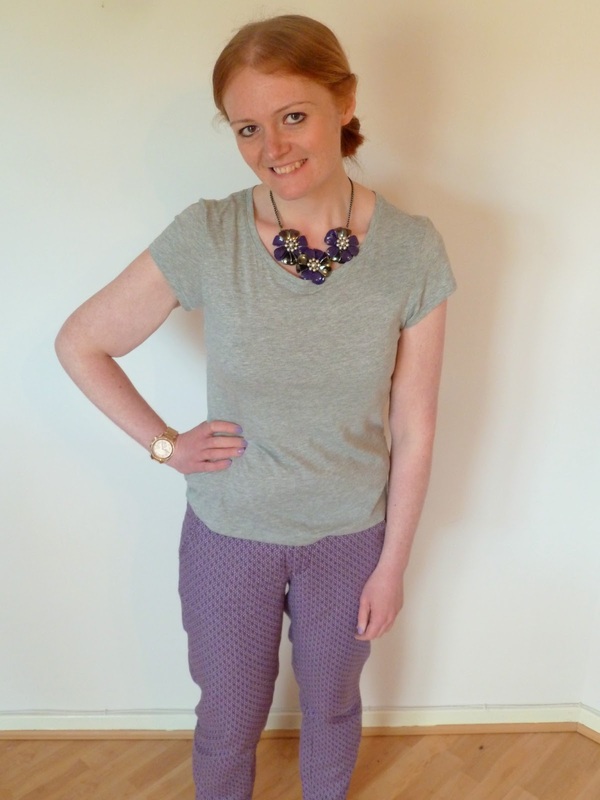 I may now also have a few other printed trousers in my wardrobe! So really I have to thanks to these guys that I found myself brave enough to do that. Anyone else fancy a toe dip? 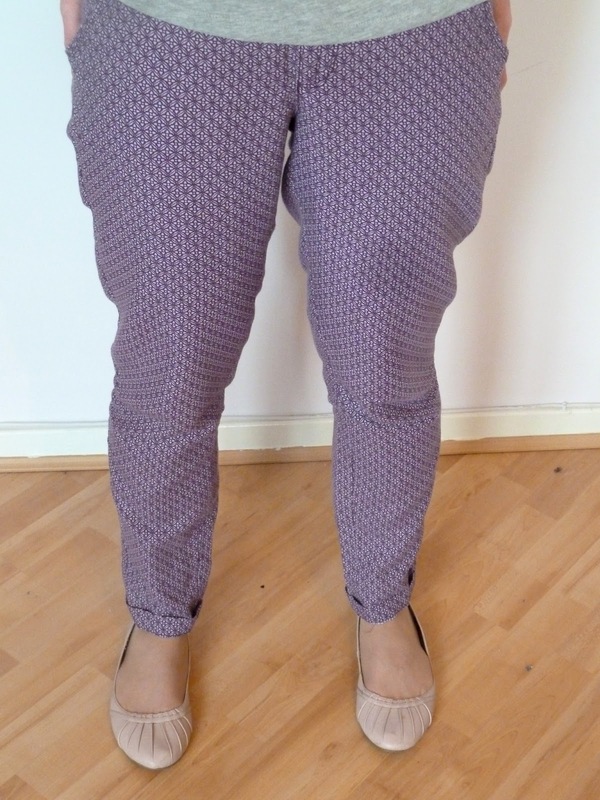 ahh these trousers are adorable!